Watch your little ones become the next biggest basketball star, with Chicco Basket League. This electronic activity centre includes 2 play modes; Shoot the Basket, Take your aim and slam-dunk like a pro: shoot 3 baskets to win! ; Countdown, Score before time runs out! 5 levels of difficulty: the countdown gets faster after each level is completed. 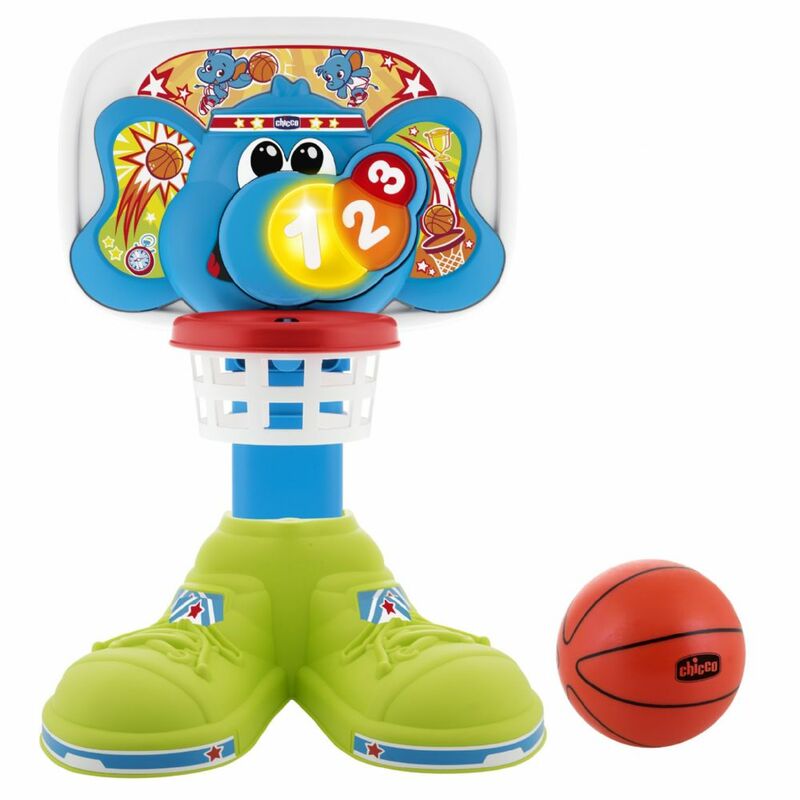 With 2 adjustable heights, Basket Leagues grows with your child; 53cm and 58cm. Listen to the musical feedback and light display encouraging children when scoring. Basketball included. To be used under adult supervision – always read the manufacturer’s instructions prior to use.